In Part 1, we talked about some principles of Facebook and Twitter to help you determine if one or both of those sites for social media is right for your business. In Part 2, we will discuss LinkedIn and YouTube. Both, along with the first two sites are great for getting your message out to your audience. LinkedIn is more for professionals than say, Facebook or Twitter. You are able to connect with colleagues, past and present, and share connections, opportunities, and resumes. Put your friends to good use! Ask for their help! Increase your visibility – By adding connections, you increase the likelihood that people will see your profile first when theyâ€™re searching for someone to hire or do business with. In addition to appearing at the top of search results, people would much rather work with people who their friends know and trust. Improve your connectability – Most new users put only their current company in their profile. By doing so, they severely limit their ability to connect with people. You should fill out your profile like itâ€™s an executive bio, so include past companies, education, affiliations, and activities. Track startups – You can see people in your network who are initiating new startups by doing an advanced search for a range of keywords such as â€œstealthâ€ or â€œnew startup.â€ Apply the â€œSort Byâ€ filter to â€œDegrees away from youâ€ in order to see the people closest to you first. Ask for advice – LinkedIn Answers aims to enable this online. The product allows you to broadcast your business-related questions to both your network and the greater LinkedIn network. The premise is that you will get more high-value responses from the people in your network than more open forums. Create compelling videos â€“ You should create content that addresses your audienceâ€™s needs. Your goal should be to create videos that are helpful, valuable and compelling to your prospects and clients. If you can blog about it, you can create a video about it. Make your video findable – To make your video more findable, youâ€™ll want to focus on three key areas: Title, Description, and Tags. Use annotations to build subscribers – You can add annotations to your YouTube videos that include clickable calls to action. These annotations appear on top of your videos for a specified length of time and can include links to other videos, playlists or channels, or include a subscribe option. Post a bulletin and alert your friends and subscribers – At the top of your channel is the Post Bulletin tab. You can create a bulletin and a link to a video that will appear on your subscribersâ€™ and friendsâ€™ home pages. Review YouTube Insights for more insight – YouTube has some powerful analytics that give you insight into whoâ€™s watching your videos and how they discovered them. You can gather information on an individual video or on all the videos youâ€™ve uploaded. 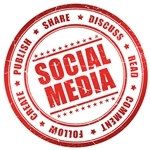 There are endless social media sites that have the ability to help market brands and businesses. It is up to you to do a little research and find which site or sites are the best fit for your company. If it seems overwhelming, do a little every day. Itâ€™s not going anywhere, but donâ€™t wait too long, the train is already moving!